During our time living in Scotland we have taken a number of tours of whisky distilleries, all around the country. One of our first trips was a whisky tour from Edinburgh, part of a series of tours we have been invited to take with Rabbie’s Trail Burners. 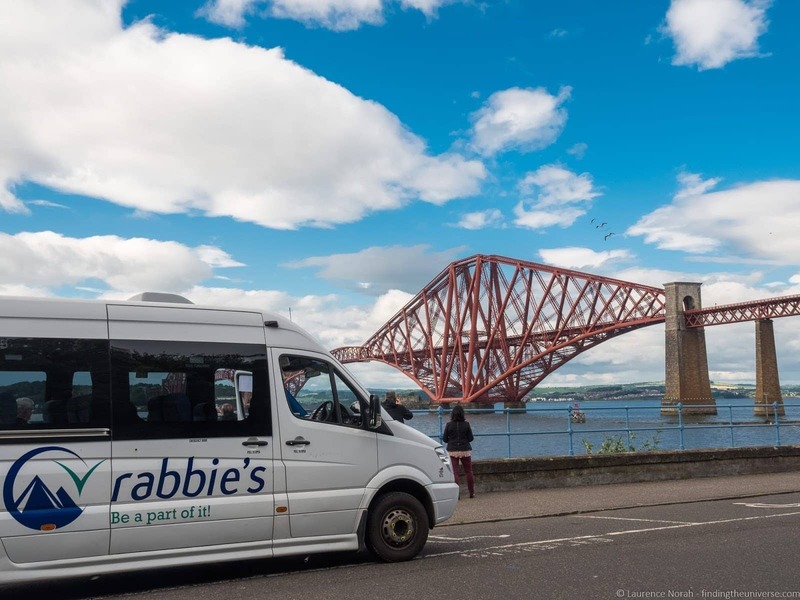 If you’re not familiar with Rabbie’s, they’re a Scottish tour company who offer small group tours (maximum 16 people) across the UK and Ireland. 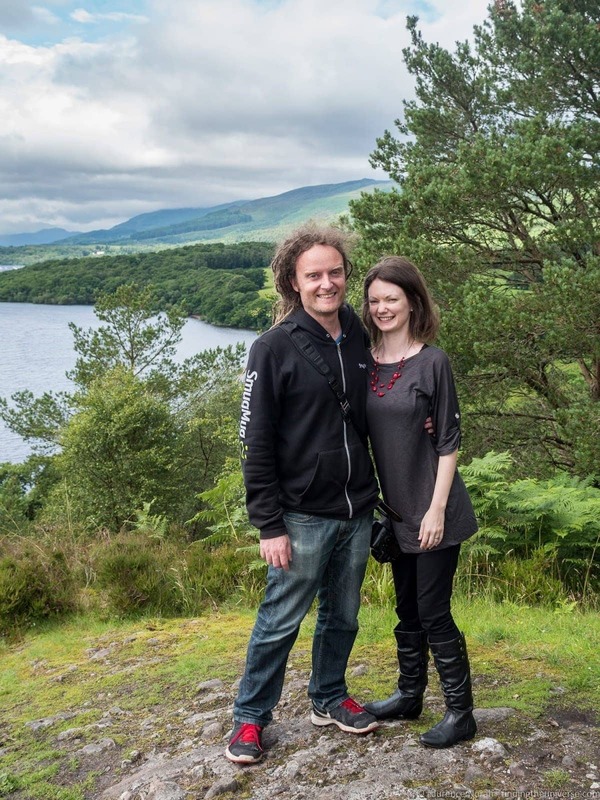 They started in 1993, and were Scotland’s first five star tour company. Today they offer all sorts of tours, from day trips to multi-day experiences. 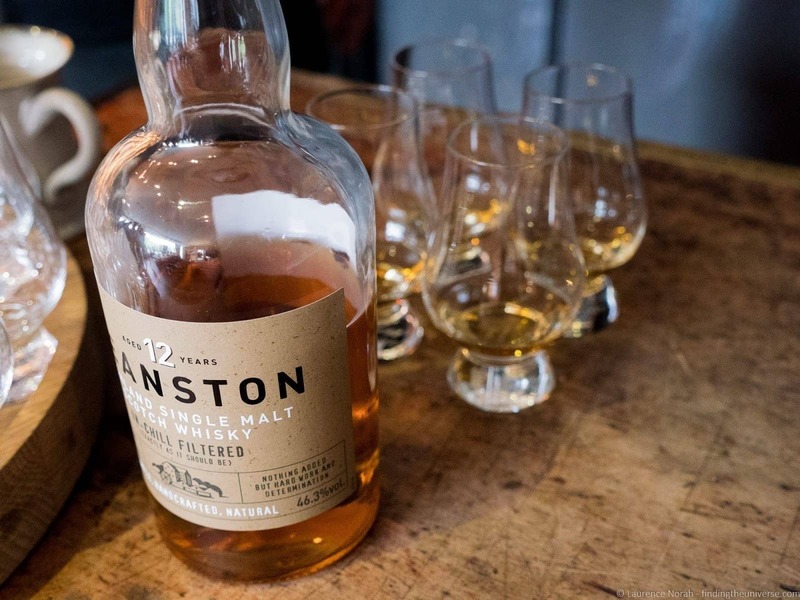 The tour I’ll be talking about today is this one from Edinburgh, which focuses on Malt Whisky. In takes in a number of Scotland’s distilleries, and remains one of my favourite tours we’ve done with Rabbie’s! 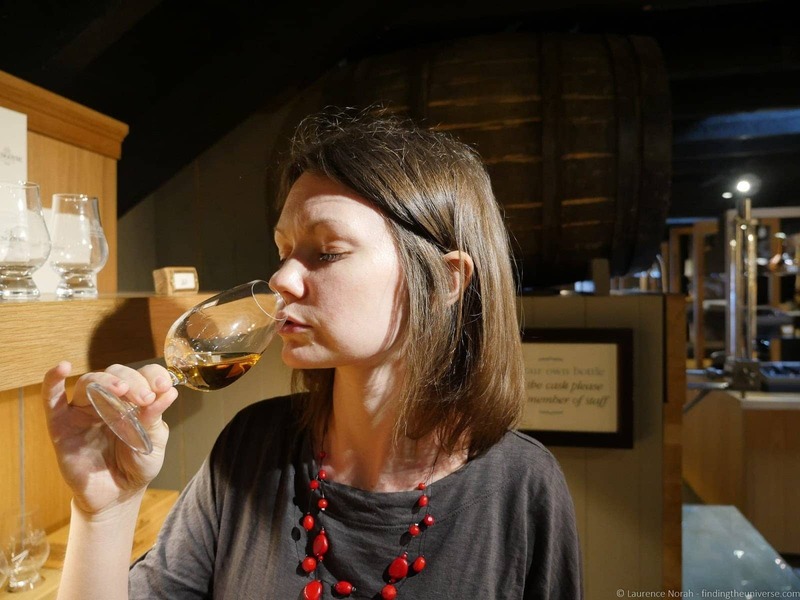 In this post, I’m going to share our experiences going on this tour, myself as a whisky lover, and Jess not so much, so you can see if this tour might be for you. Stop 5 – Forth Bridge. 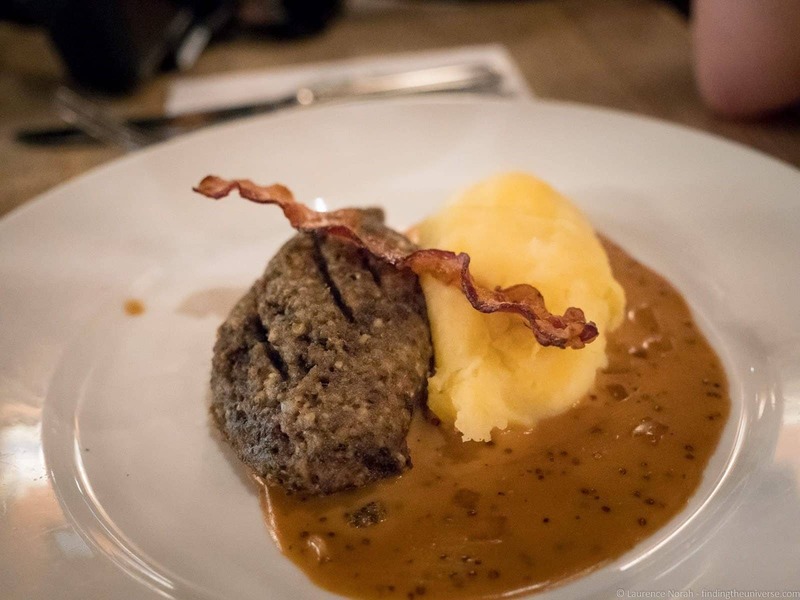 What’s Included on the Rabbie’s Whisky Tour From Edinburgh? Do I Have To Like Whisky? 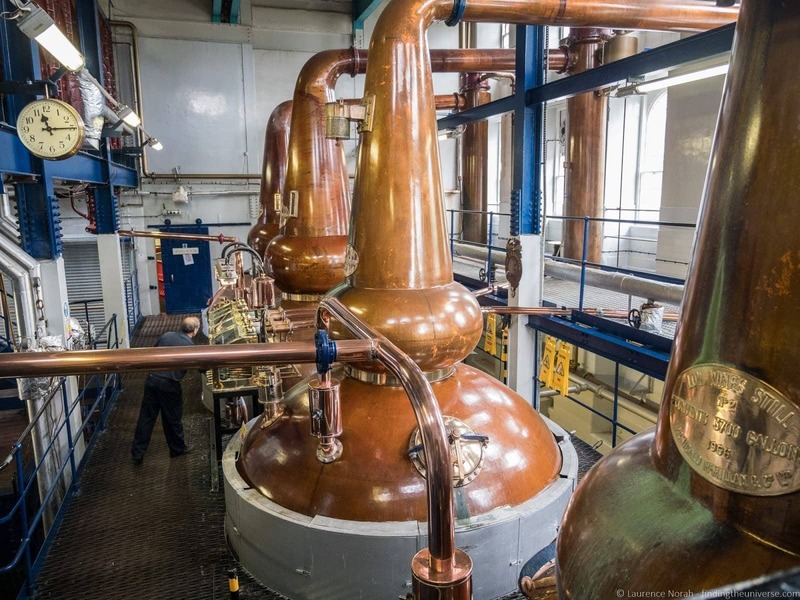 Is this Rabbie’s Whisky Tour for you? Rabbie’s tours start bright and early, with the majority of the departures leaving between 8.30am and 9.30am from the Rabbie’s Tours Edinburgh location. This is easy to find, near Calton Hill on Waterloo Place, a couple of minutes walk from Edinburgh Waverley train station. The office is also handily a cafe, so if you get there early as we did, you can grab a coffee and a bite to eat before your tour starts. It can get a bit crowded in here, so people also hang around outside. You just need to arrive fifteen minutes before your departure time to check in. Once we were checked in and properly caffeinated, we headed to our bus. These line up a little further along the street, a couple of minutes walk away, and when you check in you are given the name of your tour guide/driver so you can easily find your bus. Each bus also has the tour written on the window, so they’re easy to find. The buses are comfortable Mercedes Benz mini-coaches, that seat up to 16 people, which is the maximum tour size. Do be aware that many of the tours are fully booked, so there won’t likely be spare seats. We found the seats at the very front offered the best views. 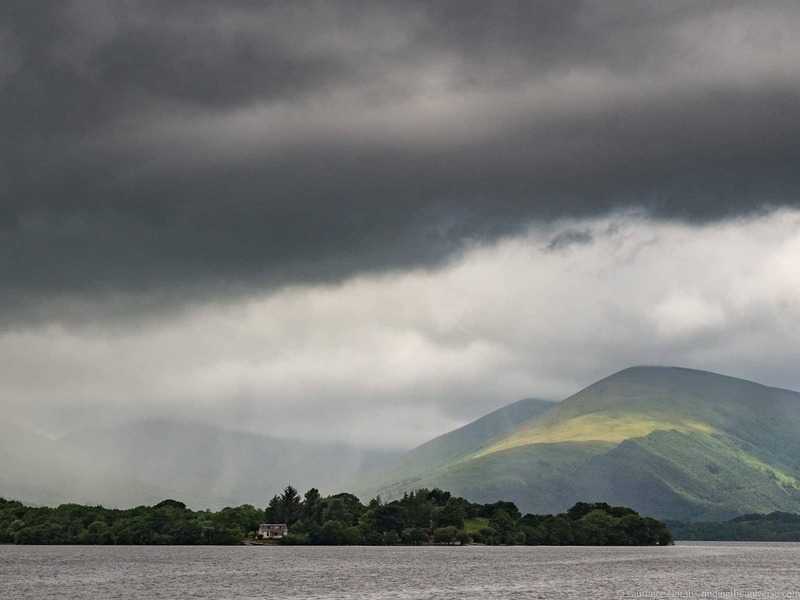 We drove out of Edinburgh to a slightly damp start – even in July the weather in Scotland can be variable, so it’s always a good idea to bring either an umbrella or a lightweight raincoat! Our driver shared with us some of the highlights of what we were seeing as we left the city, and we also drove past the fantastic Kelpies statues, the largest equine statues in the world. There wasn’t unfortunately time on the tour to stop here, but if you do get a chance, they’re well worth visiting. The first stop on our tour was at a lovely photo spot near Stirling Castle. 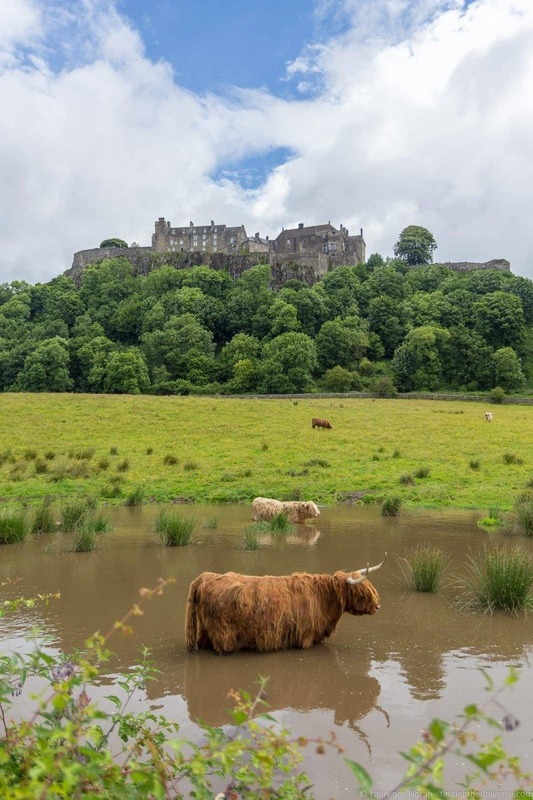 This provided two excellent subjects for photography – the castle itself, of course, perched high above us on a rocky promontory, and some Highland Cows, those gorgeous hairy cows that basically scream “Scotland” right at you. Naturally, we took a pile of photos, before hopping back into the bus, and heading to our first distillery. The first distillery we visited was the Glengoyne Distillery. This was about a 30 minute drive from Stirling, and they’ve been making whisky here for almost 200 years. The distillery is situated in stunning green surroundings, and they believe themselves to be the most beautiful distillery in Scotland. It’s hard to argue with that statement, even if this was the first Scottish whisky distillery I’ve ever visited. More research might be required, in the name of science of course. 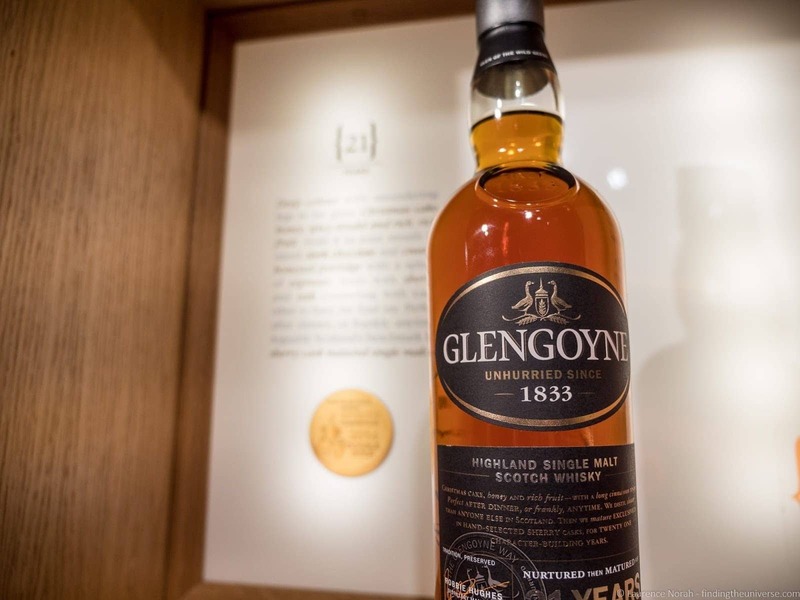 Some other facts to keep you going – the Glengoyne Distillery doesn’t use any peat to dry their grains, so there’s no smoky taste to their drinks. 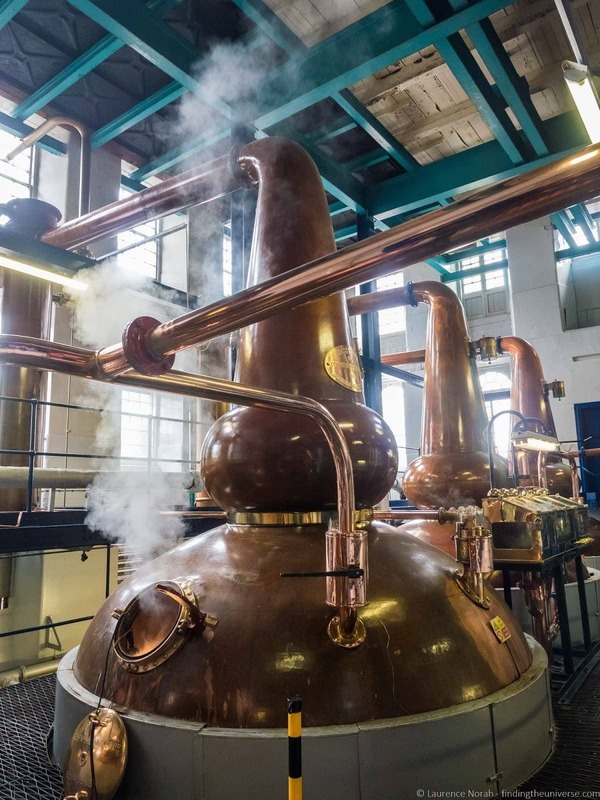 They also use 100% renewable energy to power the site, and they use the slowest whisky stills in Scotland. So that’s some facts. You’re probably wondering what the end result is like. Patience, we’re getting there. The tour with Rabbie’s that we took had two options. The basic option was £8, which included a full tour of the distillery as well as a tasting of a 12 year old Glengoyne whisky. For £10, you could add on an additional tasting, of an 18 year old Glengoyne. Obviously, I went for the £10 option – £2 for an 18 year old single malt is a no-brainer if you’re a whisky fan like me. Even if it was before midday. The tour started, rather pleasingly, with the first whisky tasting, which was accompanied by a short film showing the history of Glengoyne. Following the film we had a few minutes to finish off our whiskies, before we were led on a guided tour of the distillery, and the various processes were explained to us about how Glengoyne produce their whisky. I particularly loved the copper stills, although was a little disappointed that we weren’t allowed to take any interior photographs on the tour itself. Finally, we ended up in the shop, where we had our tasting of the 18 year old whisky. This was without doubt my favourite of all the whiskies we drank that day. Even though Glengoyne whisky isn’t smoky at all (my preferred style of whisky), I loved how smooth it was. Even Jess pronounced it to be ok, and she’s definitely not a whisky drinker! We didn’t end up buying any of the whiskies on offer, but had we chosen to do so, our tour would have entitled us to five pounds off any purchase, which was a nice touch. After our whisky tasting experience it was back in the bus and a drive to Loch Lomond, where there was a scheduled lunch stop. On the way our driver played us a bit of relaxing Scottish music to set the scene, as we drove through lovely green landscapes. 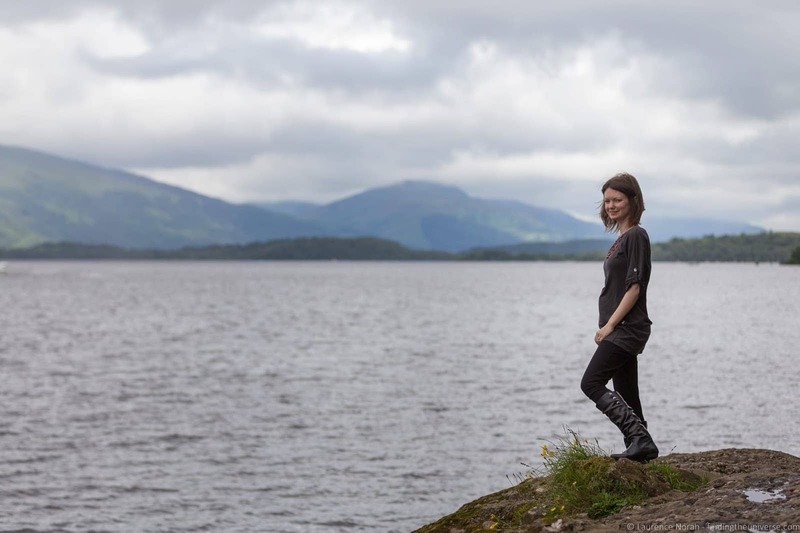 Lunch was in a small village called Balmaha by the side of Loch Lomond, where we had a couple of options – a pub lunch at the Oak Tree Inn, or sandwiches and coffee at the next door café. We were quite hungry, so went for the pub lunch option, as did the majority of the group. This was good, although the pub was very busy so service was a little slow. 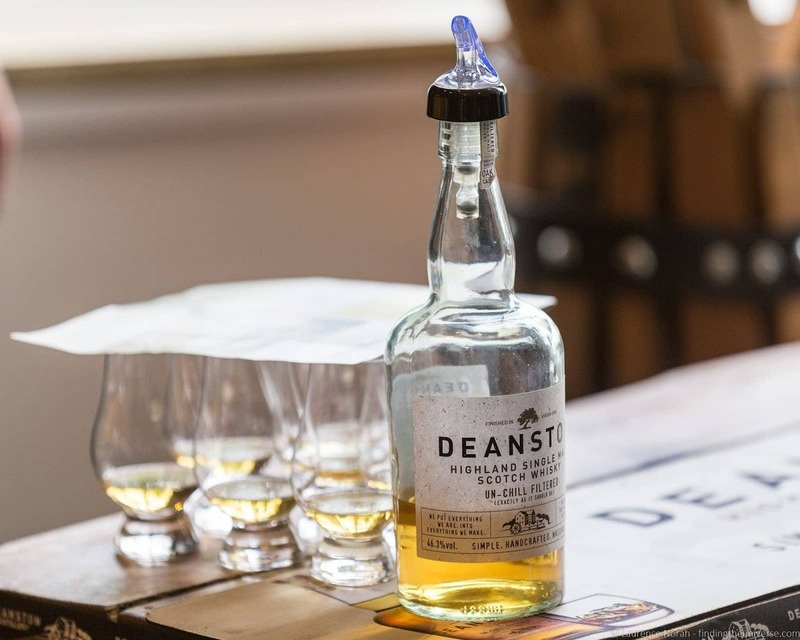 Our second and final distillery on the tour was Deanston Distillery. This is also wonderfully situated, with a river flowing by. It was also a noticeably larger affair than Glengoyne, housed in a large, industrial style building that looked nothing like a whisky distillery in my mind. 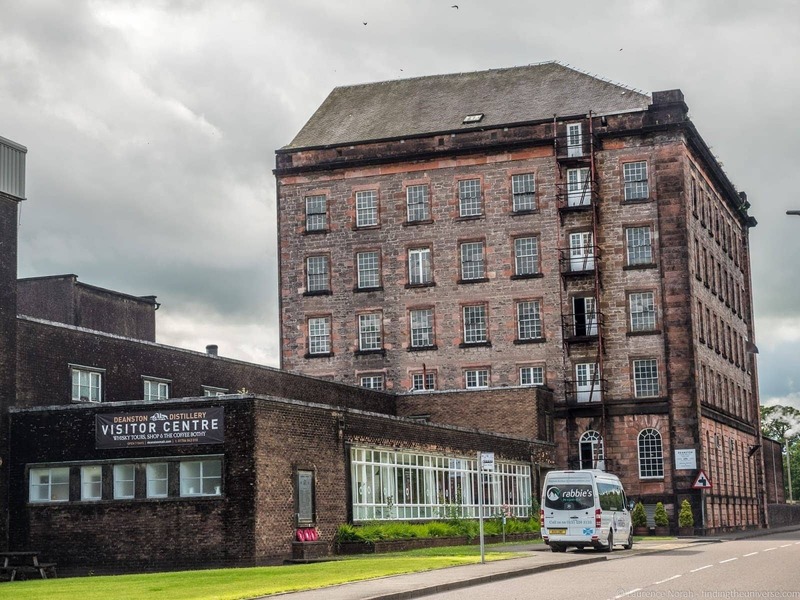 We learnt on the tour that the reason that the building didn’t look like a whisky distillery was because it was actually originally a cotton mill, dating from 1785, which had been repurposed into a whisky distillery in the 1960’s, following the decline of the UK cotton industry. 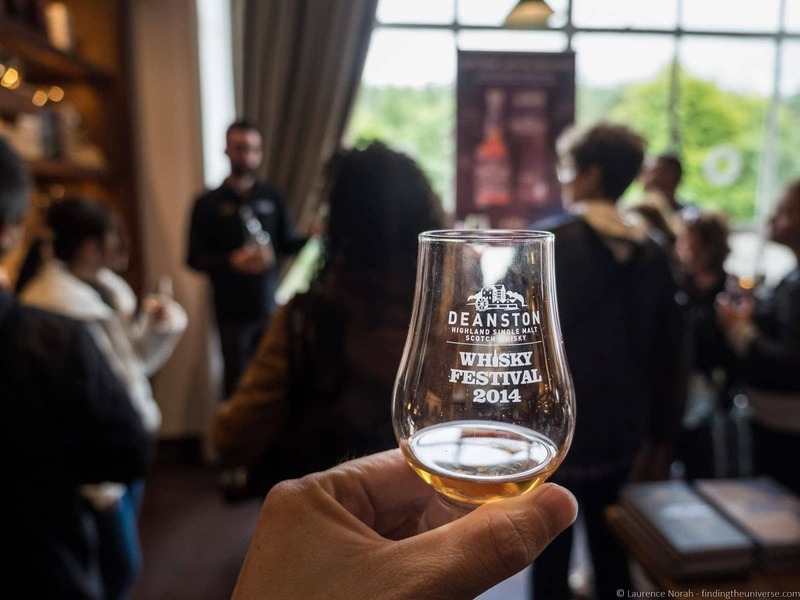 Today, Deanston produces a great quantity of whisky – measured in the millions of litres. However, only a percentage of this is created as single malt – a good part of it is used to create blended whiskies by third party brands. There are some interesting facts about Deanston. 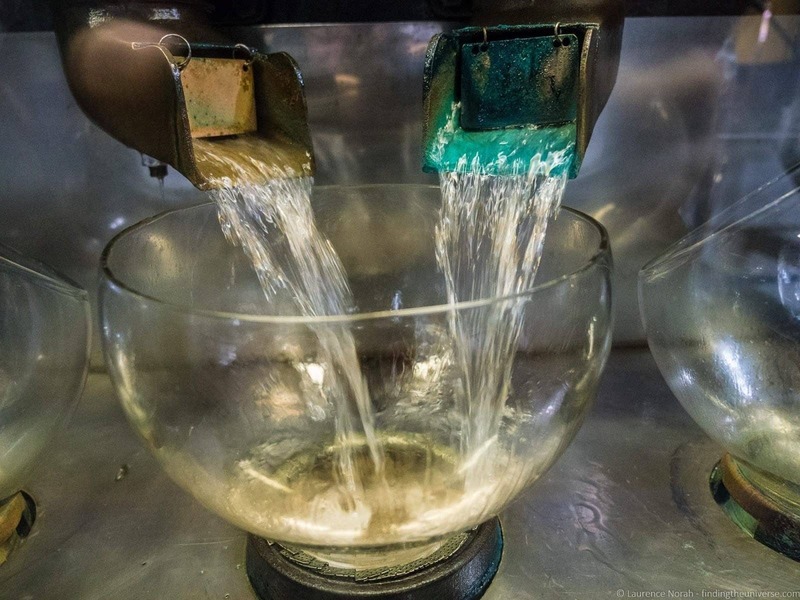 It has it’s own hydroelectric plant, which supplies all of its electricity and then some – the rest is fed into the UK’s National Grid. It also has Scotland’s largest open topped mash tun, and was one of the first Scottish distilleries to produce organic whisky. I was also delighted to be able to take photos throughout the tour, from steaming stills to vaults full of aging barrels. Finally, we returned to the shop, where we had our whisky tasting. As with Glengoyne, there was the option to have one whisky for £8 or two whiskies for £10, plus the entry fee gave us £5 off any whisky purchase. Again, I went for the two whisky option, although in this case the second whisky was a younger, less smooth option, so whilst it was interesting for the variety, I felt that the Glengoyne 18 year old option presented greater value for money. I also personally preferred being able to stretch my whisky tasting, having one at the start of the tour and one at the end of the tour, rather than two glasses in a row, but that’s just me. The sharp eyed amongst you will have noticed that the heading of this section is Deanston Distillery and Doune Castle. 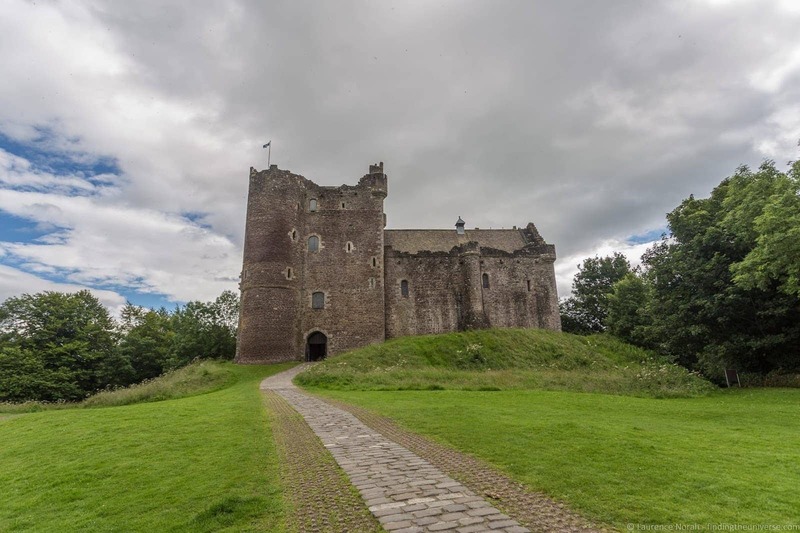 On our tour, our driver recognised that not everyone was crazy about whisky, so instead of touring Deanston, he presented the alternative option of visiting Doune Castle, a 14th century medieval castle a few minutes drive away. Most tour members were eager to do a second whisky tasting, but two of the tour members decided to go to the castle. Jess was really keen to do this, so whilst I toured the distillery, bravely sampling single malts, Jess took a tour of this gorgeous castle, which is notably famous for starring in many scenes of the Monty Python and the Holy Grail movie, and it was also used as Winterfell in the Game of Thrones pilot and most recently in the hit TV series Outlander. Jess reported back that this was very much worth visiting with a good audioguide, so splitting up for this part of the tour ended up working very well for both of us. Leaving Glengoyne, we headed back to Edinburgh. Our tour wasn’t over though. Our driver spotted an opportunity for one last short stop on our way back into the city, taking us down to the picturesque village of Queensferry for a photo opportunity of the Forth Rail Bridge. 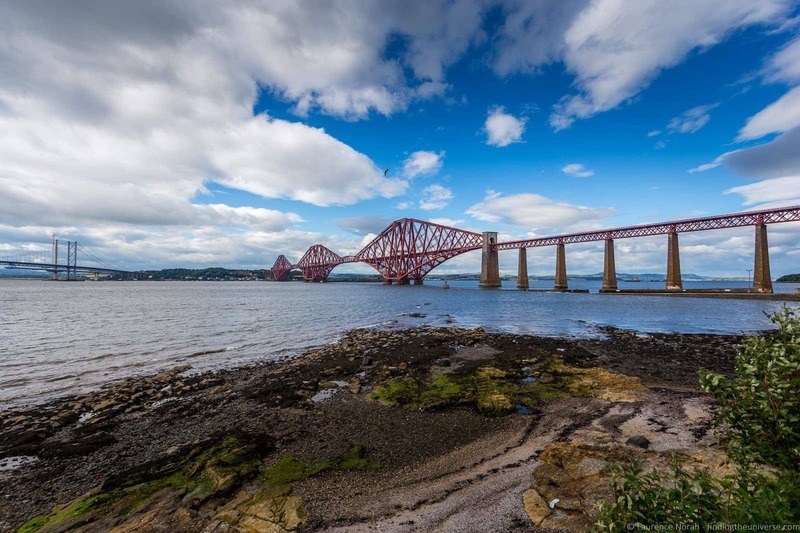 This UNESCO listed bridge is a marvel of Victorian engineering, spanning 2.5km over the Firth of Forth, and still responsible for carrying over 200 trains a day. When it was built, it was the longest single cantilever bridge in the world, and since then has only been surpassed by one other bridge of this design. Anyway, the main thing is that it’s a pretty impressive looking red structure, which is well worth taking a photo or two of, and it was the perfect way to wrap up our day of whisky tasting with Rabbie’s! The Rabbie’s Whisky Tour from Edinburgh that we took includes your transport all day, as well as the tour guide who is also the driver. The guides with Rabbie’s are, in our experience, very knowledgeable and also entertaining, and we learnt a lot about Scottish history and culture as we drove along. You have to cover your own whisky tasting costs (starting from £8 per tour) as well as lunch and any driver gratuity you choose to add. This flexibility means that if you’re really into whisky you can opt to pay a little more and have more than one tasting. 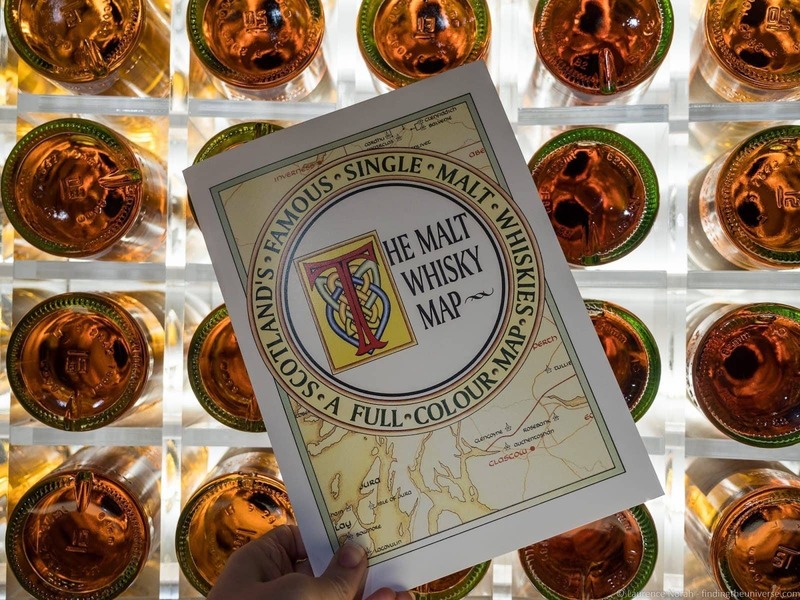 If you’re not so into whisky (like Jess), you can just enjoy the tour. You may also have the opportunity (depending on time, etc. ), as she did, to opt out of the second distillery visit to see a nearby attraction as she did with the castle. 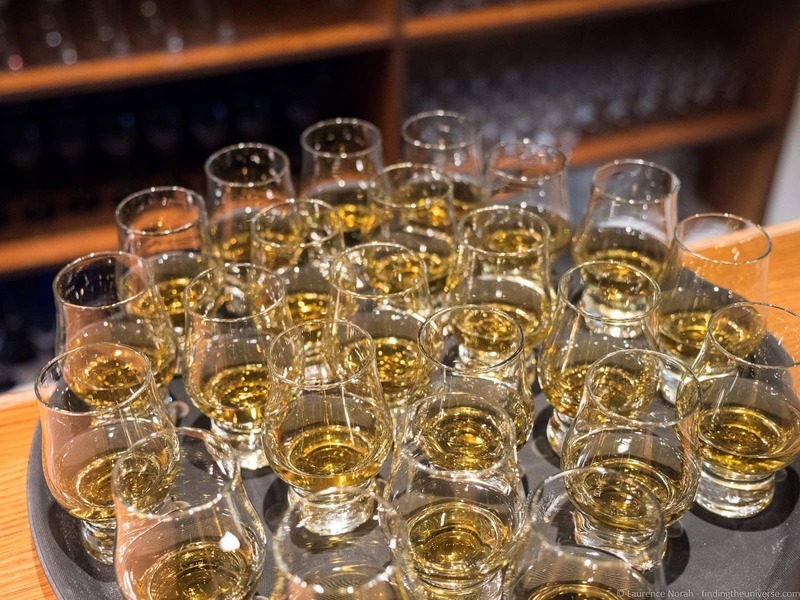 This being a whisky tasting tour, it would make sense to have at least someone in your party who enjoys whisky, as all the tours come with at least one shot of the stuff. Jess isn’t a big fan of whisky, so she generally took a sip and let me finish the rest of her glass, which worked out well for me. She enjoys learning about new things so the tour itself and getting to see the landscapes was enough. That said, the tour is about more than the actual tasting of whisky. 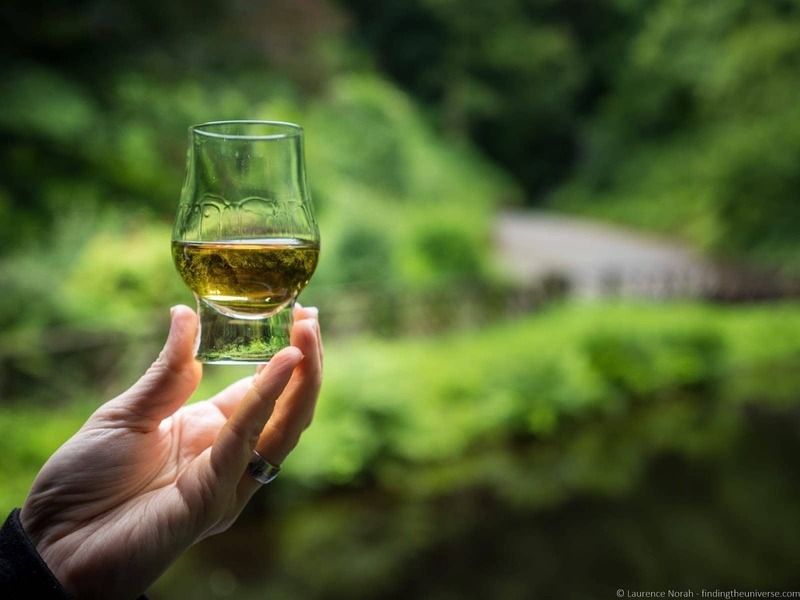 Whisky is an integral part of Scottish heritage and culture, which is interesting to learn about, and this tour takes in some gorgeous properties and landscapes. Plus, in our case, Jess was able to visit a castle rather than the second distillery, so there was the option to have less of a whisky focus. If you like Whisky, then most definitely. It’s great to have someone else behind the wheel, handling all the logistics, and letting you focus on enjoying the day. Given how strict Scotland’s drink driving rules are these days, this is most likely the easiest way to enjoy a whisky tasting tour without fear of breaking the law (or trying to designate a driver!). 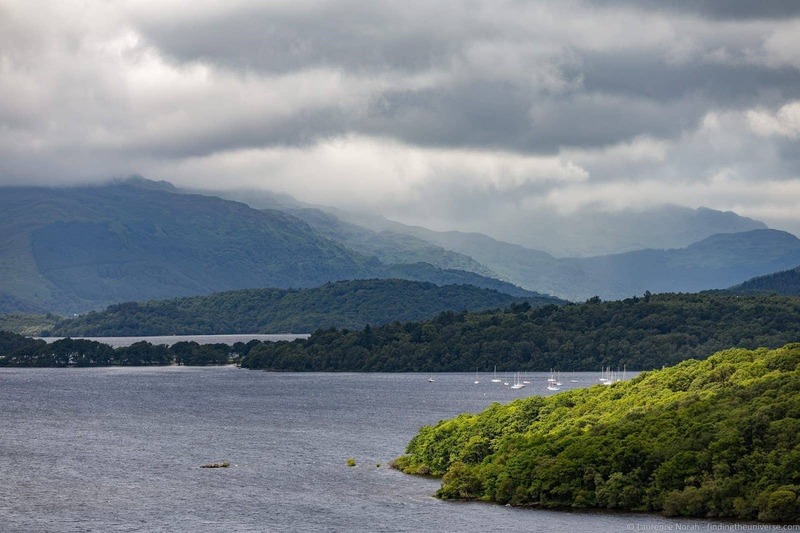 Of course, as I mentioned, you don’t *have* to love whisky to still enjoy this tour – there’s plenty more included to keep you entertained, most notably the stop at Loch Lomond, which is very beautiful. 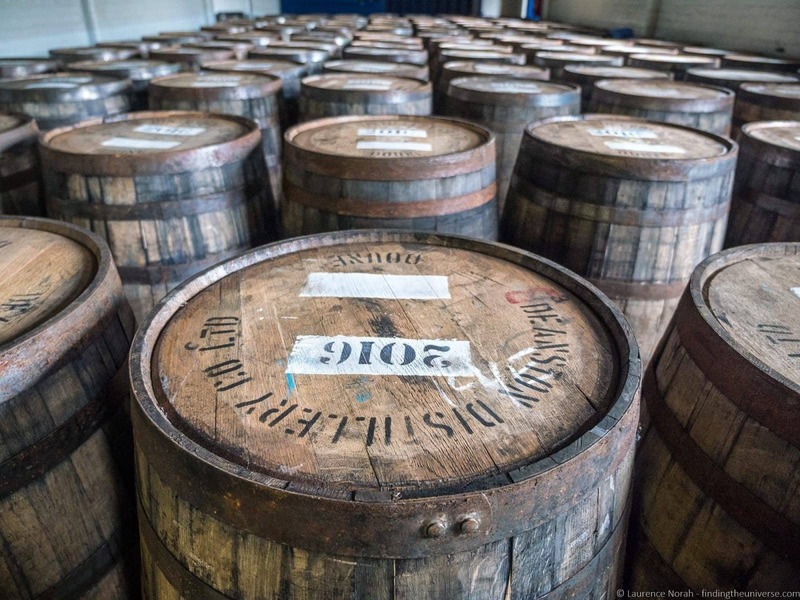 However, if a focus on whisky distilleries is too much, then you might be interested in Rabbie’s Highland Lochs, Glens and Whisky Day tour, which stops at one whisky distillery, and has more focus on sight-seeing. Or, you can go whisky nuts, and embark on either a three or four day whisky tour! And that just about sums up our experiences on the Rabbie’s Whisky Tasting Tour. 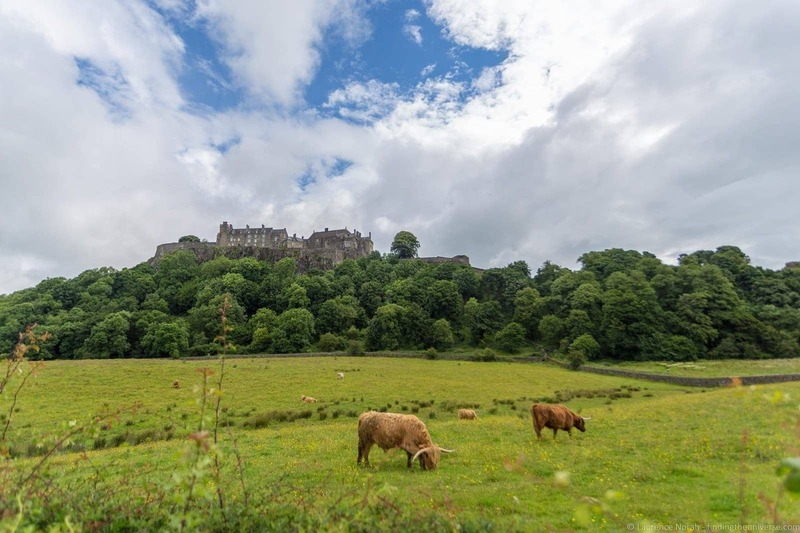 We had a lot of fun, and would definitely recommend this tour to anyone visiting Edinburgh who wants to get out into the countryside, drink some fantastic Scotch whiskies, learn a bit about Scottish history, and take in some Scottish landscapes. If you’re interested in this, or any other Rabbie’s tour, take a look at their website for full pricing and availability. Having lived in Scotland for a number of years, we have written a great deal of content on this stunning country. 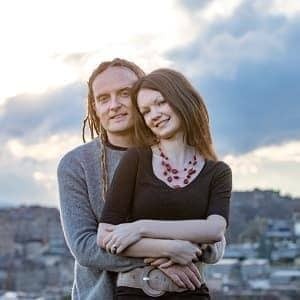 To help you plan your time here, I wanted to share some of the posts that you might find most useful. 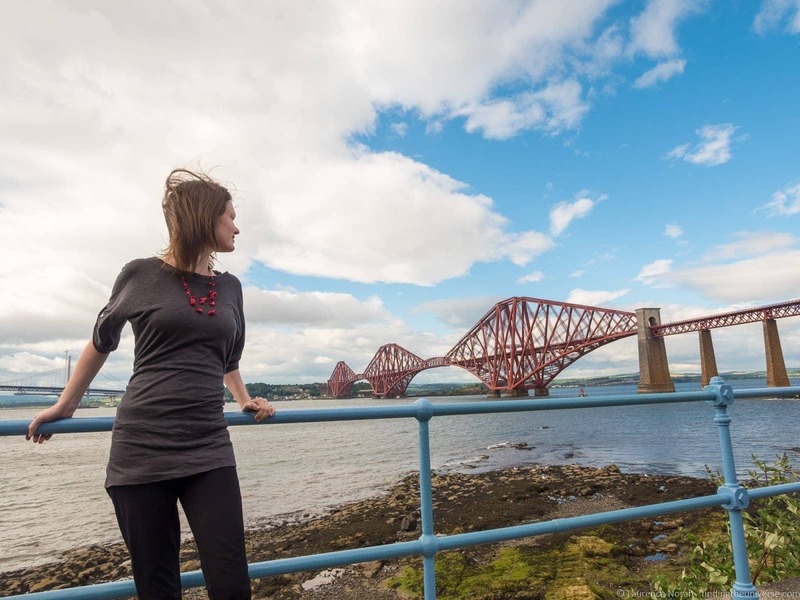 If you’re looking for inspiration for other adventures from Edinburgh, see our guide to the best day trips from Edinburgh. We also have guides to day trips from Inverness, and day trips from Glasgow. 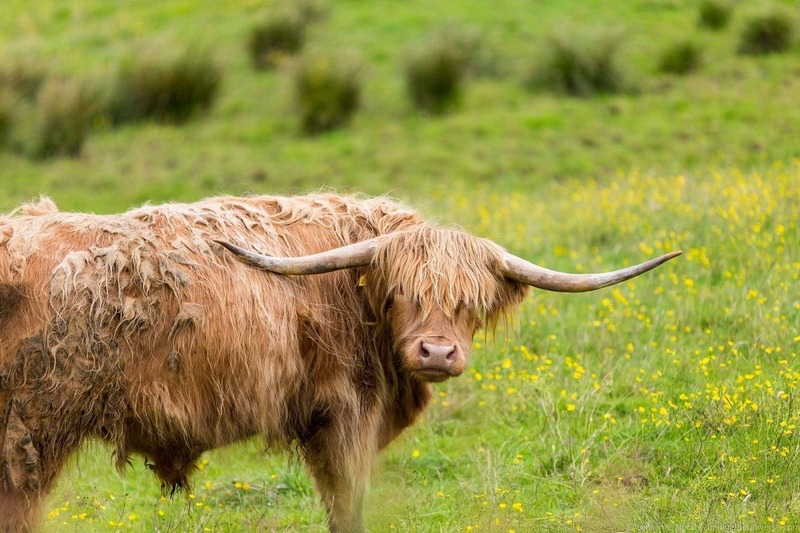 For your time in Edinburgh, you’ll want to check out our guide to things to do in Edinburgh. Harry Potter fans will also want to read about Harry Potter locations in Edinburgh! And that’s it for our guide to taking a whisky tour from Edinburgh in Scotland! As always we’re happy to hear your comments and feedback – just pop them in the comments section below! So you know: our Whisky tasting tour was provided to us complimentary of Rabbie’s Trail Burners, who covered our tour and entry fees to the attractions we visited. We’d like to thank Rabbie’s for the opportunity to drink whisky, and of course, to let you know that all our opinions remain our own. For more information on who we choose to work with, and what that means, you can read our code of ethics.